Home | Mom | Family Health Concerns | What is Heatstroke? Heat exhaustion is when the body's core temperature reaches up to 104°F. At this point water and salt levels in the body begin to drop, causing faintness and heavy sweating. Left untreated it can lead to heatstroke. 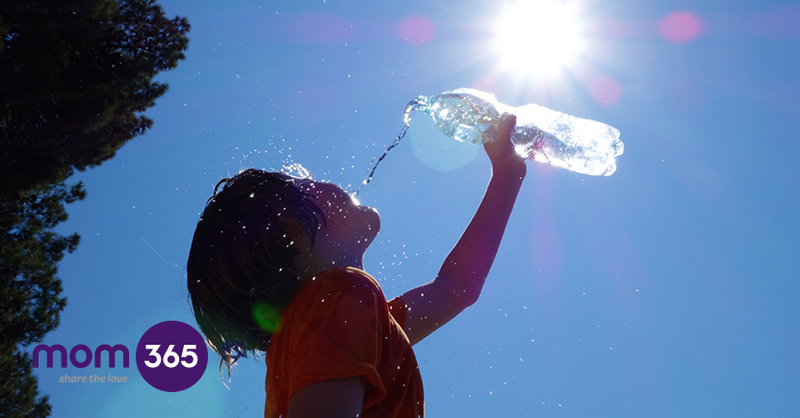 Heatstroke, though rare in the UK, is a medical emergency. It occurs when a person's core body temperature rises above 104°F. At this point, cells start breaking down and organs stop working. Unless it's treated quickly, it can be fatal or leave the patient with brain damage and organ failure. Babies are most at risk from what's known as 'classic' heatstroke, which usually happens during very hot weather. Elderly people are also at risk. This is because the temperature-controlling mechanism in babies and old people don't work as efficiently. Another type of heatstroke, known as 'exertional' heatstroke, can come on after a period of strenuous activity, especially in hot conditions. It's vital to try to prevent heatstroke by keeping the people most at risk cool. Check your baby's temperature often during hot weather; remove outer clothing if he is hot or flushed; cool him with a fan if you can, and encourage him to drink plenty of fluids. Heatstroke can develop from heat exhaustion, where the body's core temperature rises to between 99 and 104°F. Dehydration follows, which can leave the sufferer feeling very unwell. Symptoms of heatstroke can include confusion; excessive sweating, rapid heartbeat, rapid, shallow breathing, muscle cramps and loss of consciousness. Symptoms of heat exhaustion include rapid heartbeat, confusion, dizziness, dark-coloured urine, nausea, faintness and heavy sweating. What are the treatments and remedies of Heatstroke? Early treatment of heatstroke is vital: when treated promptly, 90% of people with heatstroke will recover. Call an ambulance if you suspect heatstroke. Treatment is to cool the body's core temperature quickly, so while you're waiting, shower the patient with cool (not cold) water, or cover them with cool, damp towels or sheets, massage their skin to encourage circulation, try to get them to drink or, if they're vomiting, lie them in the recovery position and check their airway is clear. At the hospital, they will usually be admitted to an intensive care unit where their body temperature will be lowered to a safe level and the abnormal salt and water content in the body restored to normal. Heat exhaustion needs to be treated quickly to prevent heatstroke developing. A person with heat exhaustion should be taken to a cool place to rest, loosen their clothing, offer a cool bath and give plenty of fluids to drink. If the symptoms haven't lessened in half an hour, call an ambulance.